Grim Lord Sakura is a 6-star unit that plays the Magic Damage and Support role. Her stats are great and her skills great especially for her character specific ones. Starting off, the first thing to note is most of GL Sakura’s skills are magic. Which is obvious because she’s a Magic Damage character. What’s great about her is her character specific Grim spells because they are crazy good. Grim – Soul Barrage, Grim – Siphon, and Grim -Eldritch Flame are three of her best skills. And with her final skill Grim Lord, she can use two Grim spells in one turn. Being able to chain any one of these three Grim spells is a great thing. 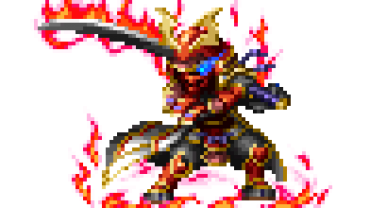 Using Eldritch Flame or Soul Barrage first than following up with Siphon to basically instant KO an enemy makes GL Sakura a pretty powerful problem. Her other Grim spells aren’t bad either by any means. Each of them being some form of elemental magic attack with a secondary effect tacked onto it. Those secondary effects, however, are 100% status ailments and that’s what makes the rest of her Grim attacks viable. She is a crazy good magic user and her trait Supremacy is what pushes it over the edge giving her 30% extra magic damage to different varieties of enemies. Verdict: Use her if you need a Magic Damage character. There is no reason not to and she is great. Grim Lord Sakura is 50% resistant to Fire and Light but has a 50% weakness to Dark. Grim Lord Sakura can equip 6 weapons and 4 armor.